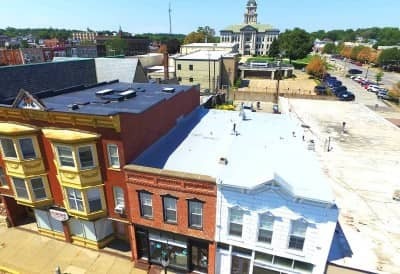 At Riddell Roofing, we’ve been servicing the Quad Cities and surrounding areas for over three decades. We’ve completed projects for customers in just about every industry you can think of. We’ve become a staple of our community because we understand what you need out of your roofing contractor. We’ll be by your side every step of the way, from the installation to check-ups after inclement weather. That means that after a blizzard hits this winter, you can count on us to make sure everything is still in perfect shape. 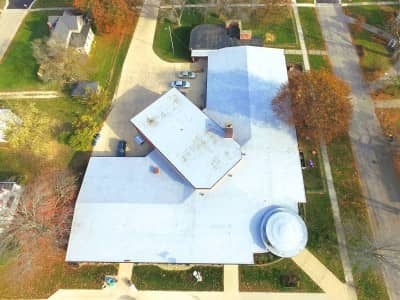 When we do find a leak, or even more severe damage, we can repair or replace your roof with the same speed and expertise with which we installed it. 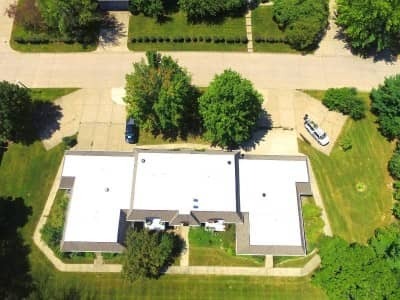 Replacement- When your roof is in poor repair, waiting to call a contractor can result in higher utilities, or even permanent damage to your property. That’s why Riddell Roofing and Duro-Last are here to make the replacement or retrofitting of your current roof a breeze. We also offer coatings and insulation to make any roof work, or we can simply replace it with one of our industry leading PVC roofs. Prefabrication & Installation- The main thing that sets Duro-Last apart is their prefabrication technique. We send one of our estimators out to get all of the crucial information, and Duro-Last makes your roof in pieces off-site. As a Master Elite Contractor, we then come in with specialized equipment to install it quickly and efficiently. That means less time on site for us, and less business interruption for you. Repair and Ongoing Maintenance- Duro-Last may be the “World’s Best Roof,” but sometimes nature has a different idea. Severe weather can result in damage to your PVC roof, so we offer inspections and repairs to make sure your roof lasts for the long-haul.